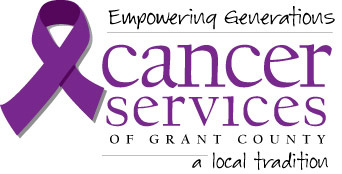 Cancer Services of Grant County, Indiana was established as a 501 C-3 not for profit in 1959. We are a community based agency that lifts the burdens of illness for local individuals facing cancer as well as providing countywide educational outreach on early detection and cancer prevention. We celebrate our decades of services to thousands of Grant County Individuals. Join us in our many events this year! 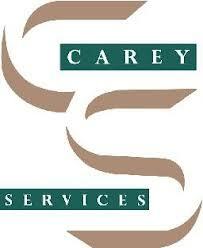 Carey Services was established in 1954 through the efforts of parents of persons with disabilities and concerned citizens of our communities. Their purpose in 1954 still serves as the underlying philosophy of what drives Carey Services today...creating pathways towards self-sufficiency with personal satisfaction. Consumers and families have the comfort of knowing that, because we have enjoyed over 55 years of stable growth, Carey Services will continue to thrive, responding to the individual human service need of our clients. The Marion Fire Department is dedicated to the preservation of life and the well being of our community. This dedication is shown through the many cardio pulmonary resuscitation (C.P.R.) classes that we teach throughout the year. We have 12 dedicated firefighters who are, American Heart Association, C.P.R. instructors. We offer many different types of C.P.R. classes. We will teach small or large groups or a group of individuals. Just call (765-668-4474) Monday through Friday from 8:00 am to 4:00 pm to schedule the American Heart Association C.P.R. class that fits your needs. Here are a couple of our most popular classes that we offer. 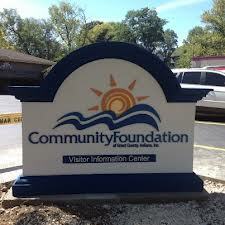 The team here at the Community Foundation is deeply passionate about Grant County. We believe we can be the best in the world at improving the quality of life right here where we live. We know that the more our economic engine is primed, the more impact we can make. So, we use our mission, as all quality organizations should, to guide and direct decisions…all of our decisions. If you struggle with substance addiction or you love someone who is, you know how crushing it can be. Addiction has the power to destroy your health, your finances, and your relationships. Luckily, you don’t have to continue living with this condition—professional treatment can help you find renewed hope in sobriety. There are numerous rehab options in Indiana to help prepare you for a new life without drugs and alcohol. Begin researching programs today. The mission of Family Service Society, Inc. is to encourage, empower, and educate; individuals, families, and communities to improve their quality of life. Family Service Society, Inc. views the family primarily in terms of its function in society. Consequently we believe a family consists of two or more people, whether living together or apart, related by blood, marriage, or adoption. We also believe everyone requires and deserves the loving environment of a caring family, which serves as the cornerstone of our mission. Family Service Society, Inc. (FSSI) has been an integral part of the local community for over 90 years. 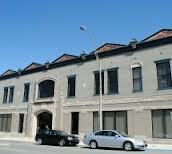 Established in 1919, this community-based organization became incorporated in 1973 as a 501(c) 3. Through the first 25-30 years FSSI provided basic and welfare services in Grant County for individuals from cradle to the grave. Services included child protection, adoption services, admission assessment for poor and elderly individuals going to the county home, utilities, food, clothing needs, and referral for community services. Following those early years, counseling and programs assisting families and individuals in daily living adjustment and mental health needs were developed. 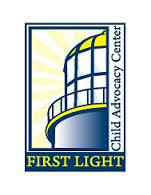 First Light is a place where people, children, and caring come together. The center provides a location for members of a multi-disciplinary team to come together and perform a forensic interview of a child who is alleged to be a victim of abuse or neglect. The objective is to provide a quick, professional response by law enforcement, child protection services and the prosecutor's office to a case, so the trauma to the child can be minimized and an appropriate course of action to the specific case can be charted expeditiously. Since first opening it's doors, February 16, 2004 the center has served well over 2000 local children. Gilead was founded in 1999 to be an encouragement and outreach to individuals dealing with Cancer, Long Term Illness, and Grief. Gilead is a unique Nonprofit ministry governed by a group of committed individuals from all walks of life. Executive Director Bill Sparks is accompanied in the office by Teresa Brown, the assistant director, and Tina Cook, the part time Administrative Assistant. We are available to talk Monday, Wednesday and Friday's from 9:30 AM - 2 PM and Tuesday & Thursday's from 9:30 AM - 12:00 PM. Please call 765-664-3734. Girl Scouting builds girls of courage, confidence, and character, who make the world a better place. 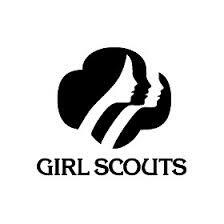 Girl Scouts of Central Indiana makes it easy, meaningful, and fun for girls and volunteers to grow as leaders. 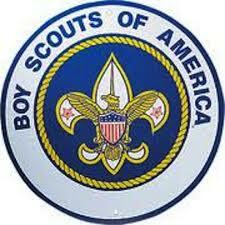 This mission, along with the Girl Scout Promise and Law, is the foundation of all we do. 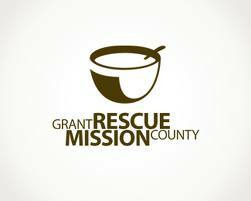 The Grant County Rescue Mission works to address some of the underlying problems of homelessness, such as: substance abuse, incomplete education and inadequate skills. Ages: infant to 6 yrs. Service: Grant-Blackford Mental Health, Inc., in conjunction with Cornerstone Behavioral Health Center, provides comprehensive mental health and addictions services. 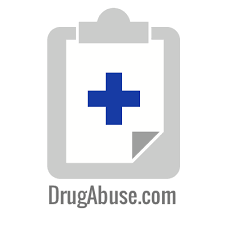 Its large professional staff includes physicians specializing in psychiatry, drug and alcohol abuse, therapy, and nursing. AnswerLine, a service co-sponsored along with the United Way of Grant County Inc., addresses requests for information relevant to social service issues at (765) 662-2222. Hands of Hope, formerly called Women’s Services, is a division of Family Service Society, Inc. Services have been offered in Grant County since 1981 and Wabash County since 1984. 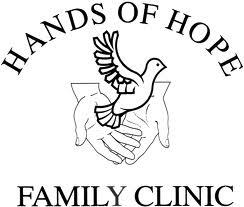 The name was changed to Hands of Hope in 1997 to enforce to the community that DV is not just a female issue, but a family problem and crime and that we work with the entire family. Hands of Hope is funded through federal grants, United Way of Grant County, United Fund of Wabash County, private businesses, individuals, churches and civic groups. There is no charge for the programs offered to victims of domestic violence, homelessness or sexual assault. Mission: The Indiana Department of Child Services (DCS) protects children from abuse and neglect. DCS does this by partnering with families and communities to provide safe, nurturing, and stable homes. Vision: Children thrive in safe, caring, supportive families and communities. We believe every child has the right to be free from abuse and neglect.We believe every child has the right to appropriate care and a permanent home.We believe parents have the primary responsibility for the care and safety of their children.We believe the most desirable place for children to grow up is with their own families, when these families are able to provide safe, nurturing, and stable homes.We believe in personal accountability for outcomes, including one's growth and development.We believe every person has value, worth, and dignity. Our primary mission is to offer professional services from a Biblical-Christian perspective, while maintaining respect for the values and beliefs of our clients. We seek to assist individuals and families in making positive change, and in attaining a high level of emotional and spiritual well-being. Counselor experience is extensive and varied. We work toward placing each client with a counselor with the expertise and experience that best fits the identified need. All therapists are fully licensed and credentialed by the State of Indiana to provide mental health services. Our desire is to work collaboratively with clients in helping them develop adaptive thoughts, positive relationships and new skills, working toward resolution of their concerns, so that healing begins. It is our privilege, and we consider it an honor, to work with those who seek counseling at Life Center. In Indiana alone, the number of Hoosiers age 65 and over will grow 30 percent over the next 20 years. As a result, LifeStream faces the challenge of growing to meet the projected needs of an aging population. "We are the only provider of meals to the homebound in our county. If we cannot provide food to someone, then they will not have any food to eat. These people are literally going to bed hungry." "We can only deliver five days a week. On days we do not deliver, our clients are left with eating a cold sandwich – or in some cases, not eating at all." "We have recently faced unexpected expenses because of the aging of our building and equipment…the roof is leaking, the heat exchangers are breaking, and refrigeration systems and pot-washers are breaking down.
" The National Campaign allows seniors to live independently, in their own homes. The Indiana Minority Health Coalition, Inc. (IMHC) is a statewide non-profit organization. It is also an Indiana certified Minority Business Enterprise (MBE). IMHC exists to eliminate health disparities through research, education, advocacy, and access to health care services for minority populations.